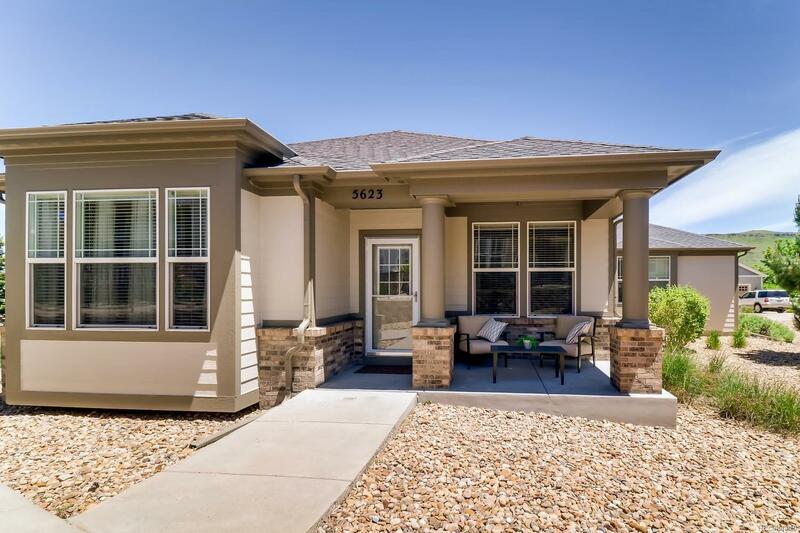 Live the "Golden Lifestyle" in this rare age 55 + Parkview Villa Community. Enjoy mountain views from this charming 2 bed 2 bath patio home with low-maintenance living. Sunny and bright, this home has many upgrades including: Spacious kitchen w/granite countertops and loads of cabinet/counter space. Open floor plan w/high ceilings. The master bedroom features a private four-piece bathroom w/double sinks, large shower and a walk-in-closet. The second bedroom offers an adjoining, full bathroom. This home has a great location within this quiet community, only one house next door, and the other side the home looks out over a beautiful lawn area. Just steps away from open space, trails, parks, easy access to grocery stores and downtown Denver/Golden.